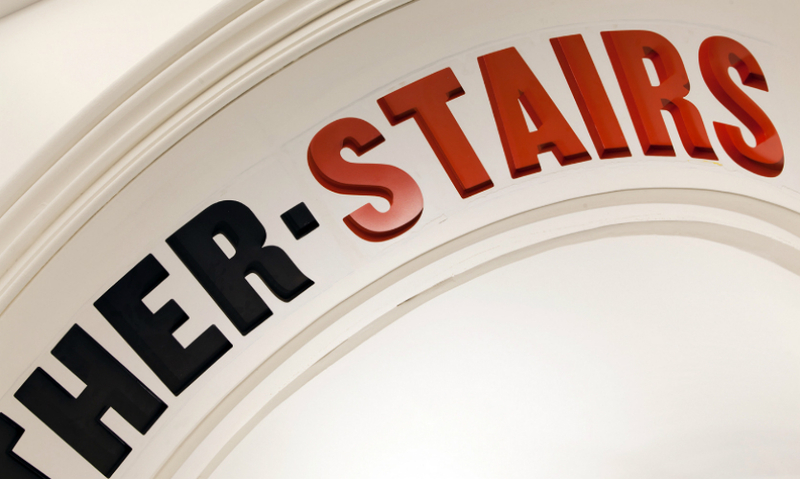 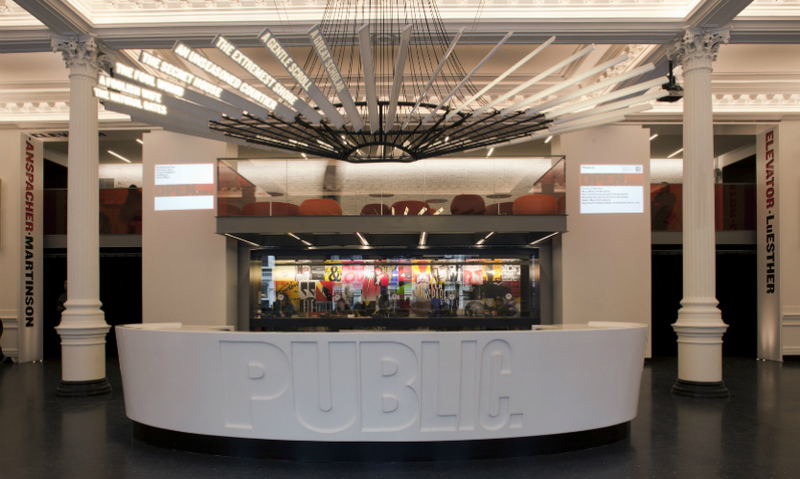 Pentagram's bold typography was translated into three dimensions in the lobby’s circular front desk (made of glass fiber-reinforced gypsum) that features a dimensional, large-scale version of the Public Theater logo. 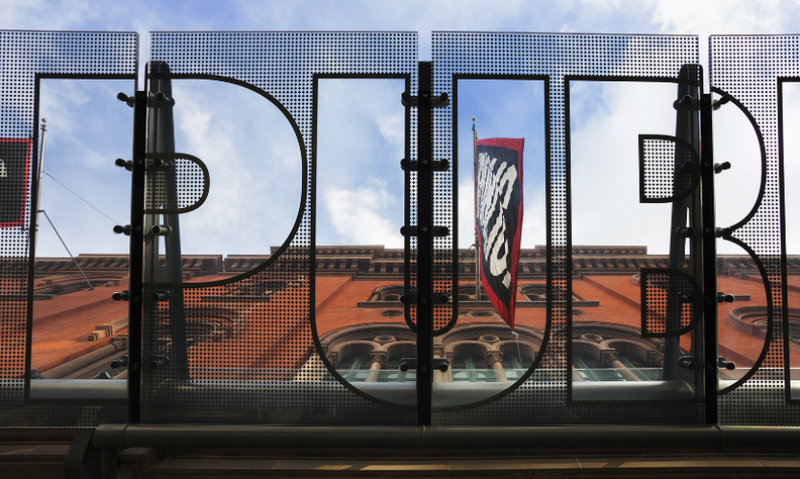 A chandelier-like multimedia sculpture designed by Ben Rubin hangs above and is flanked by projections that provide information about current productions. 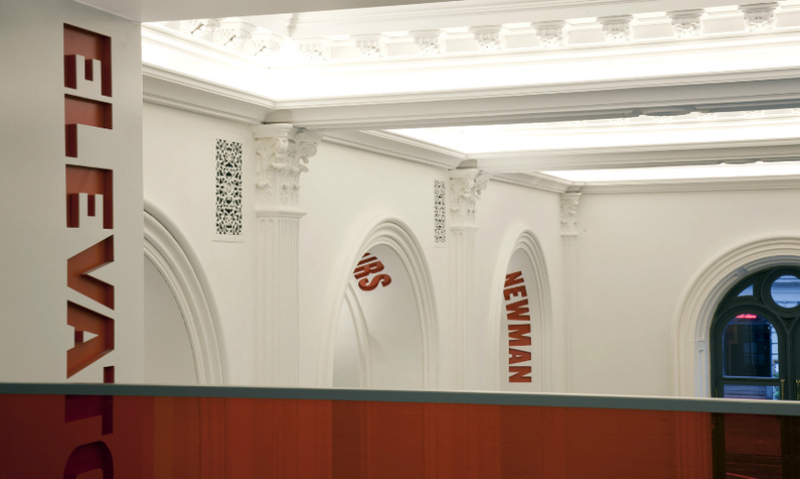 Theaters are identified with dimensional typography inset into the lobby’s distinctive arches. 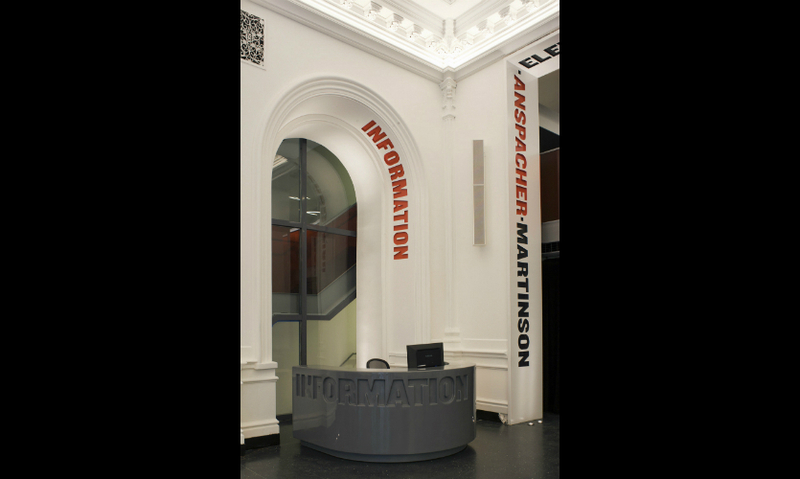 Plaster archways feature routed knocked-out text painted with textured Matthews paint; steel archways use steel sheets laser cut with knocked-out text. 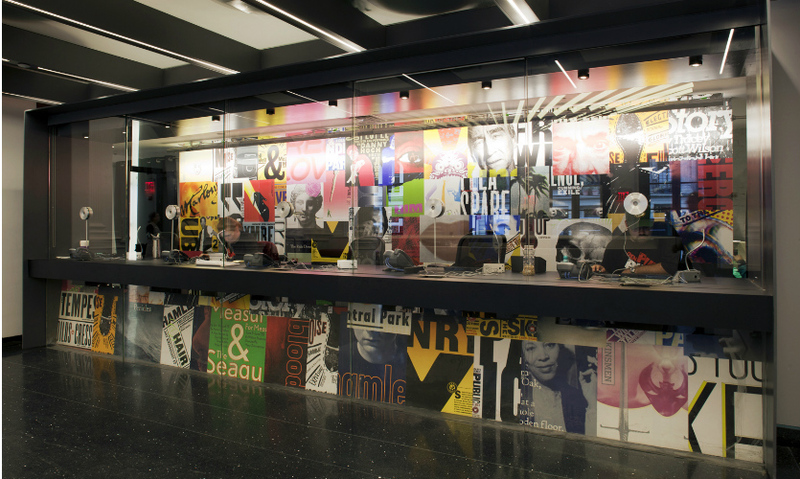 The box office features a colorful collage of Public posters from the past two decades. 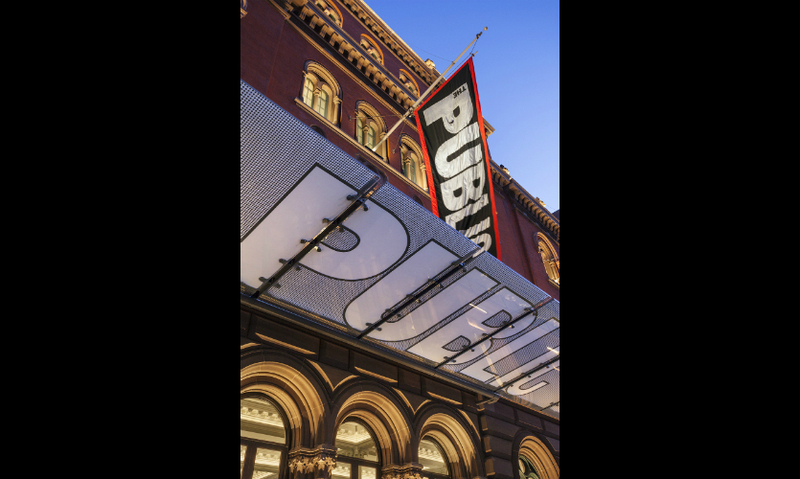 Outside, the restored façade features the Public logo rendered as a transparent marquee canopy made of custom frit glass. 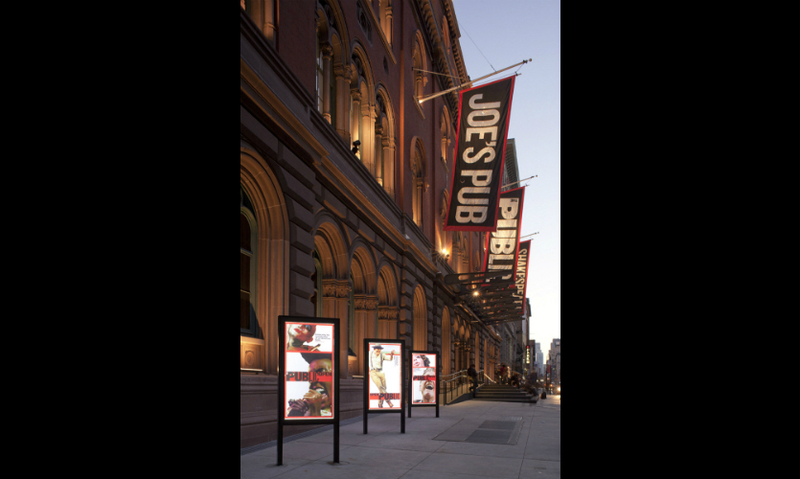 Illuminated poster boxes run along the street.